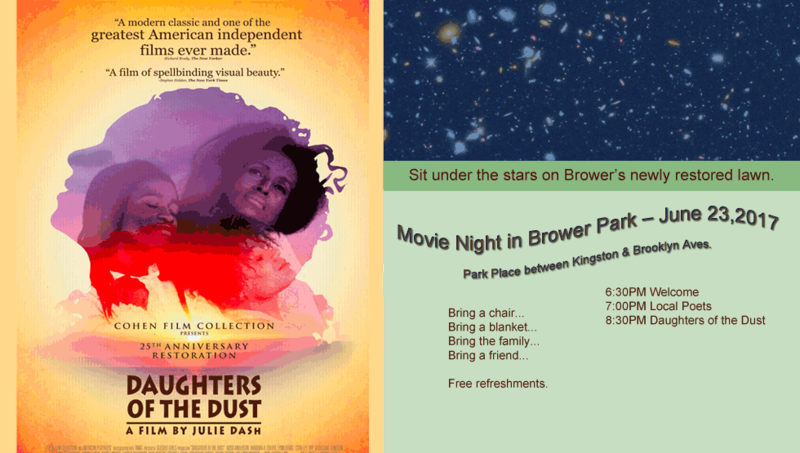 Location: Brower Park Lawn, Kingston Avenue and Park Place. 6:30 PM Bring a picnic dinner and enjoy refreshments. Showing the Daughters of the Dust. An Independent Film written, directed, and produced by Julie Dash.